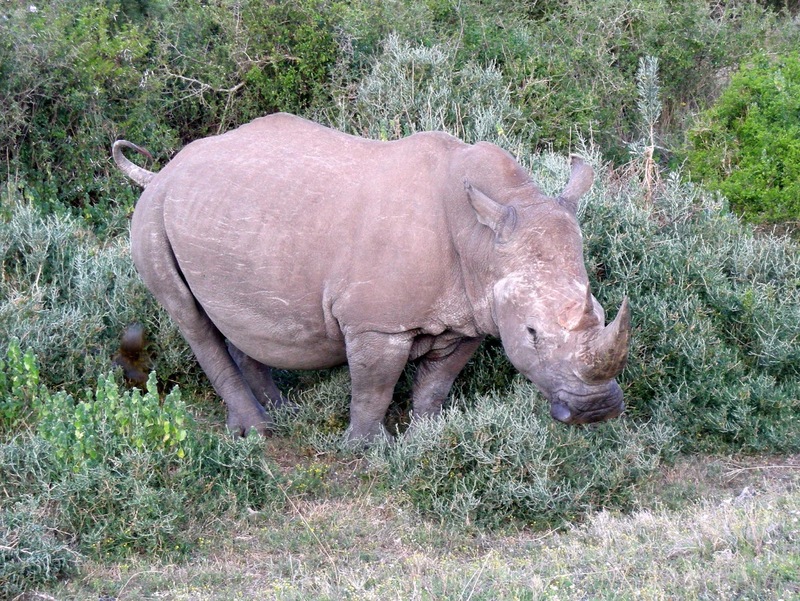 South Africa: 749 rhinos killed by poachers so far in 2015! According to South Africa's Environmental Affairs Minister Ednah Molewa, 749 rhino were lost to poachers in South Africa so far this year. Of these, 544 were poached in the Kruger National Park. During 2015, there have been 1 617 positively identified poacher activities in the Kruger National Park. The total number of arrests inside the Kruger National Park was 138 for this year compared to 81 arrests for the same period last year (as at 27 August 2015). By this time last year, 716 rhino were poached across the country, with 459 of them falling prey to poachers in the Kruger National Park. Zanzibar: Sauti Za Busara 2016 cancelled! The organisers of the Sauti Za Busara festival on Zanzibar have announced that Eastern Africa's single most important performing arts, music and film festival will be cancelled in 2016. Busara Productions named a shortage of funding the main reason for canceling the event for the first time in thirteen years. For the past twelve years, Sauti Za Busara attracted thousands of visitors from all corners of the world to Zanzibar, at a time which used to be low season. BBC World Service hailed Sauti Za Busara as one of "Africa's best and most respected music events". It is also included in CNN's "7 African music festivals you really have to see" and tops Afro-Tourism's list of "Best Music Festivals". Cape Town: Cape Town Tourism releases new promotional video! Cape Town Tourism has released a new promotional video for Cape Town titled "See, hear, smell, taste, embrace Cape Town". How do you like it? Google, in cooperation with Digital Matatus, has made bus & matatus (minibuses/ minivans used as public transport) routes information for Nairobi available to the public via maps.google.co.ke. This new Transit feature on Google Maps will make it quick and easy for anyone within Nairobi to find the best route for wherever they're planning to go. The Transit feature on Google Maps is free, and can be accessed either via the web browser, as well as the Google Maps app on both the Android and iOS platforms. Digital Matatus has also made various Nairobi Transit Maps available to download. See their website for a pocket map (pdf; below) and a wall map (pdf) as well as GIS data and GTSF data. Table Mountain National Park (TMNP): Certain burnt areas to re-open! Cape Town's Table Mountain National Park (TMNP) has announced the re-opening of certain burnt areas which had been closed off to the public following the fires in March 2015. These areas were closed for the safety of visitors and to allow natural systems to recover. Five months after the fire, fynbos recovery is showing great progress, so that visitors to Table Mountain National Park can look forward to their favourite hikes and to see the wonders of fynbos. The mountains above Lakeside, Muizenberg, St James and Kalk Bay will reopen to the public at the start of SA National Parks Week (14 - 19 September 2015). Permitted recreational activities in the re-opened areas mentioned above will continue as before, including hiking and dog walking with people kindly requested to remain on demarcated footpaths and to be mindful of rules pertaining to keeping dogs under control. Re-opened paths in Table Mountain National Park include: Pecks Valley, Bailey’s Kloof, Spes Bona, Echo Valley, Trappies Kop, Ou Kraal and Steenberg Plateau. Gifkommetjie and Circles Vlei areas, located in the Cape of Good Hope section of the Table Mountain National Park, have also been re-opened to the public. The Silvermine area, including the mountains above Hout Bay, Noordhoek and Constantia, will reopen by the end of December 2015. The Upper Tokai section of Table Mountain National Park remains closed as rehabilitation work still in progress. The area may reopen in early 2016. South African Airways and Air China sign new codeshare agreement! Chinese airline Air China (CA) and South Africa's flag carrier, South African Airways (SAA), have signed a new codeshare agreement. The agreement enables South African Airways to put its code on Air China's newly inaugurated non-stop service between Beijing and Johannesburg as well as destinations beyond Beijing to Chengdu, Shanghai, Hangzhou and Chongqing. Air China in turn puts its code on South African Airways' services between Johannesburg to Cape Town, Durban and Port Elizabeth. The codeshare agreement is open for sale from 25 August 2015, for travel effective 29 October 2015. South Africa: Fly Blue Crane to launch operations on 01 Sept 2015! New South African airline, Fly Blue Crane, has announced that it will commence operations on 01 September 2015. The airline will initially be offering daily flights from its hub at OR Tambo International Airport (JNB) in Johannesburg to Bloemfontein‚ Kimberley and Nelspruit. During its launch phase, Fly Blue Crane will operate a modern and fuel-efficient 50-seater Embraer Regional Jet 145 (ERJ) aircraft in a single class configuration. Cape Town named World Cocktail Capital 2015! Diageo, the world's largest producer of spirits, has named Cape Town the World Cocktail Capital 2015. The British multinational alcoholic beverages company is set to host the final of its WORLD CLASS Bartender of the Year 2015 competition in Cape Town and Johannesburg (31 Aug - 04 Sept 2015). This year's event is the biggest WORLD CLASS competition yet, with 55 of the most talented bartenders from over 50 countries competing to be crowned the best bartender in the world. Diageo's WORLD CLASS Bartender of the Year competition, now in its seventh year, is the biggest and most prestigious mixology event in the world. City Sightseeing introduces two free guided Cape Town walking tours! City Sightseeing Cape Town has teamed up with Nielsen Tours to offer two free guided walking tours in Cape Town. Both tours depart from and return to City Sightseeing's new Longstreet Tour Office (stop #5 on their bus tours). The "Historic City Walk" departs at 11:00 and returns at approx. 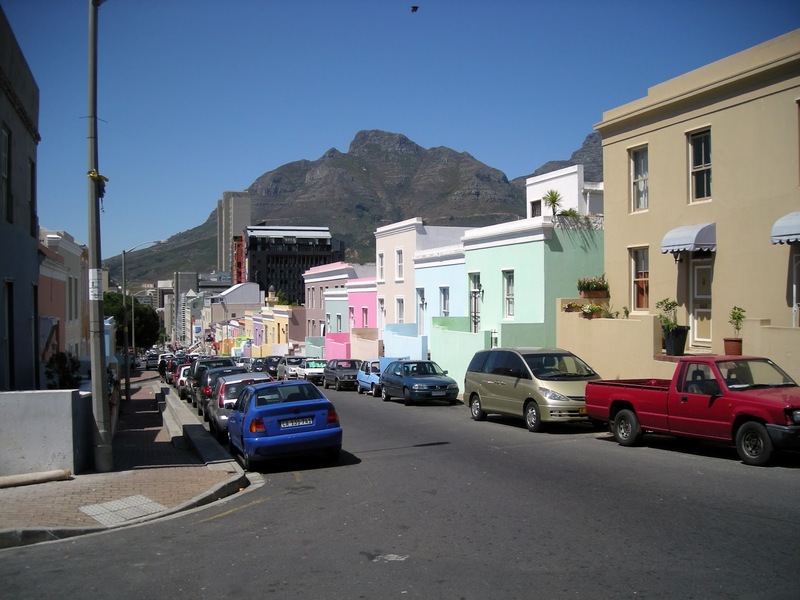 12:30, while the "Bo-Kaap Walk" departs at 15:00 and returns at approx. 16:30. You don't need to book theses tours, just arrive at the City Sightseeing's Longstreet Tour Office in time for one of the free tours. Cape Town: Table Mountain Aerial Cableway Company & MyCiti launch free park-and-ride service! Cape Town's Table Mountain Aerial Cableway Company and MyCiti, the city's bus rapid transit system, have teamed up and are now offering a free shuttle service between the Lower Tafelberg Bus Stop at Kloof Nek and the Cableway entrance (Route 110). 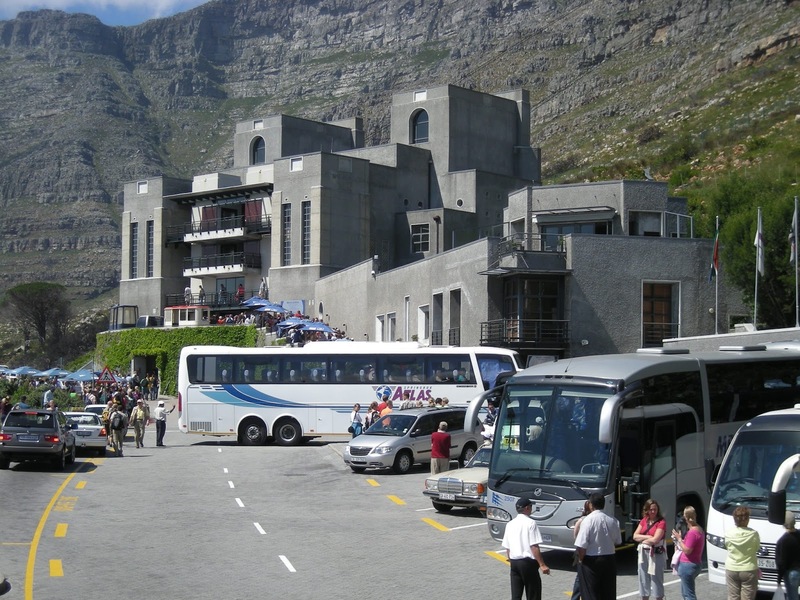 Table Mountain visitors are encouraged to park their vehicles at the free parking at the bottom of Tafelberg Road or use the MyCiti service from the CBD or Camps Bay up to the Kloof Nek stop using their myconnect or single trip cards. The service will operate daily from 07:00 in summer (07:30 in winter) from Kloof Nek with the last shuttle departing the Lower Cable Station at 19:00 from the Cableway Station in summer (18:45 in winter). Buses depart every 20 min. Kenya: No more "visa on arrival" from 01 September 2015! update (11 September 2015): Kenya's President Uhuru Muigai Kenyatta announced that manual visa applications at the port of entries into the country will continue until such a time as the newly introduced e-Visa is fully operational. update (07 September 2015): For a limited period of 60 days (01 September - 30 October 2015), there will be four e-visa kiosks at Jomo Kenyatta Inernational Airport (NBO) in Nairobi which will allow guests to apply for visas on arrival (long delays expected). Payments for visas on arrival can only be paid by debit card. Cash and credit cards on arrival are not accepted. update (02 August 2015): East Africa specialist Wolfgang H. Thome reports on his blog that Kenya's Department of Immigration installed separate desks at the main airport of Nairobi to apparently facilitate visitors coming to the country who failed to secure an e-Visa in time of else failed to apply for one online in the first place. It could not be ascertained if the facility also exists in Mombasa to where all of the charter flights from Europe come. update (24 Aug 2015): The government of Kenya has launched a new website dedicated to the E-Visa. This will allow applicants to easily go straight to the E-Visa application away from the clutter of other Government services currently offered on the E-Citizen website. The new (and current) website is mobile phone enabled which means applicants can complete the application from an internet enabled mobile phone. The government of Kenya has launched an online visa application platform. From 01 September 2015 all travellers, who were previously eligible to purchase a visa to Kenya on arrival, will now be required to purchase a visa online in advance of travel. Travellers requiring a visa will be asked to produce a printed copy of it at check-in; travellers without the required visa will not be accepted for travel in Kenya. Mango to launch flights between Lanseria <> Durban! South African low-cost airline Mango is set to introduce flights between Lanseria International Airport (HLA) in Gauteng and King Shaka International Airport (DUR) in Durban on 15 October 2015. The airline will operate two flights per day between the two destinations. Flights from Lanseria to Durban will depart at 08:55 and at 18:20, while flights from Durban to Lanseria will depart at 07:50 and at 16:30 respectively. Mango also announced that it will add an early morning flight to its service to Cape Town from 15 October 2015, bringing the total number of flights between Lanseria and Cape Town International Airport (CPT) to four. Fastjet: Daily flights between Dar es Salaam & Johannesburg! Tanzania-based low cost-airline Fastjet has announced that it will increase its operations between Julius Nyerere International Airport (DAR) in Dar es Salaam (Tanzania) and OR Tambo International Airport (JNB) in Johannesburg (South Africa). Effective 01 September 2015, the airline will fly daily between the two destinations instead of the current three weekly flights. Fastjet also announced that it will up frequencies between Dar es Salaam and Lusaka and between Dar es Salaam and Harare to daily on 14 September 2015. Also on 14 September 2015 the airline will increase its service between Dar es Salaam and Lilongwe (Malawi) from currently two weekly flights to four weekly flights. SANParks announced the dates for the SA National Parks Week 2015! update (15 Sept 2015): South African National Parks (SANParks) has warned that daily quotas on the amount of cars entering the the country's National Parks during the South African National Parks Week 2015 will be enforced at park gates (especially at the more popular Kruger National Park, Garden Route (Tsitsikamma, Knysna, Wilderness) National Park & West Coast National Park) to curb overcrowding. South African National Parks (SANParks) has announced the dates of the South African National Parks Week 2015. The 10th annual SA National Parks Week will take place from 14 to 18 September 2015. During the four days, South African day visitors will have free access to most of the 21 national parks in the country. Only the Namaqua National Park (annual natural flower show will be in full bloom in September) and the Boulders Penguin Colony area in the Table Mountain National Park will be excluded from this year's SANParks' National Parks week. It should be noted that free access to parks does not in include free access to accommodation facilities and other tourist activities. The excluded Parks will apply normal entry tariffs. Qatar Airways to resume flights to Maputo (Mozambique)! The state-owned flag carrier of Qatar, Qatar Airways, will resume flights between Hamad International Airport (DOH) in Doha, Qatar, and Maputo International Airport (MPM) in Maputo, Mozambique, on 21 August 2015. The airline will operate three flights a week, on Wednesdays, Fridays and Sundays, on board a Boeing 787 Dreamliner aircraft between the two destinations. Flights will go via Johannesburg in South Africa, but passengers who boarded in Maputo will not be obliged to leave the plane at OR Tambo International Airport (JNB). Due to "oerational reasons" Qatar Airways suspended flights to Mozambique's captal on 01 May 2015. South African Airways & Jet Airways to expand codeshare partnership! According to aviation specialists airlineroute.net, South African Airways (SAA) and the second largest Indian airline, Jet Airways, are set to expand their codeshare agreement. As from 13 August 2015, the partnership between the two airlines will include enhanced connection between India and South Africa via Abu Dhabi, as well as domestic flights in South Africa. KitchenCOZA - a webshow about the culinary world of South Africa! update (06 Oct 2015): Pick n Pay has uploaded the first episode of the second season of KitchenCoZA. Farm-styled Pumpkin Fritters! Yum! One of the largest supermarket chains in South Africa, Pick n Pay, has started a web cooking show about traditional South African dishes on YouTube in May 2015. The show, hosted by Lentswe Benghu (Africa on a Plate!) and his colleagues Sue Ann and Alet (Tiaan in season two), features typical recipes such as Oxtail Potjie, Chakalaka, Koeksisters, Chicken Biryani and many more. Watching the episodes you get step-by-step instructions on how to cook the particular dishes as well as a link to the full recipe and a list of all ingredients. Some of the ingredients might not be available at stores outside South Africa, but I am sure that - with some imagination and improvisation - you can easily replace most of the spice mixes, ready mades and Pick n Pay-labelled products. If not, feel free to ask and we try to find it out for you! 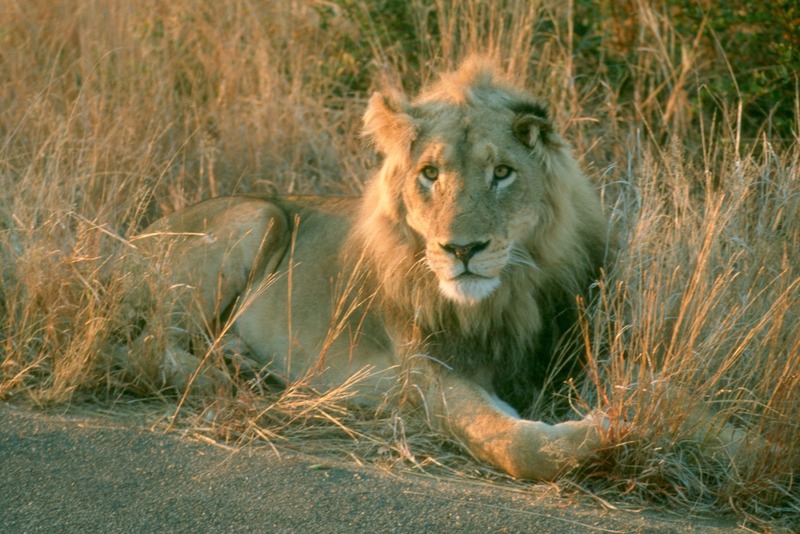 Malawi: African Parks takes over the management of two more protected areas! Update (28 Jan 2016): African Parks just announced that they have been awarded €2.6 million by the Dutch Postcode Lottery for the restoration of Liwonde National Park and Nkhotakota Wildlife Reserve in Malawi! The non-profit park management organisation African Parks has taken over the management of two more of Malawi's reserves. African Parks, which already manages the 700km² Majete Wildlife Reserve, has concluded an agreement with the Government of Malawi to manage and operate Liwonde National Park and Nkhotakota Wildlife Reserve for 20 years. Liwonde National Park is located in the southern Malawi. The National Park is 548m² in size and consists of woodland, floodplains, grasslands, and lagoon. It supports the largest remaining population of elephants in the country as well as one of two populations of black rhino. Liwonde National Park is also home to hippo, hyena, buffalo, warthog, several antelope species and more than 400 bird species. Nkhotakota Wildlife Reserve is located in the central region of Malawi. The Reserve is 1,800 km² in size, lying within the Miombo woodland zone. It is a major catchment area for Lake Malawi. 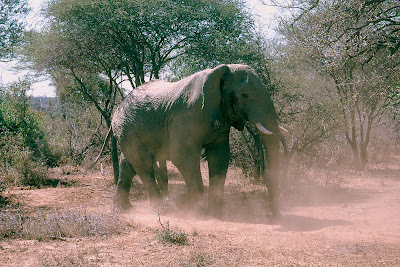 Although a depleted park, it still has remnant populations of elephant, warthog, baboon, and various antelope species as well as 280 bird species. African Parks will invest $18 million into the two parks over a five-year period.